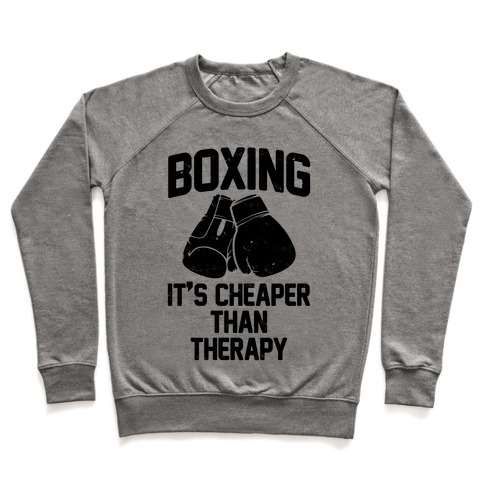 Browse our collection of 1 Best Selling Boxing Pullovers and more. Designed and printed in the USA. 100% Satisfaction Guaranteed. About this Design Boxing! It's cheaper than therapy. There is no better way to fix a bad mood than to workout by ching stuff. Now get to the gym and get your box on! Boxing! It's cheaper than therapy. There is no better way to fix a bad mood than to workout by ching stuff. Now get to the gym and get your box on!